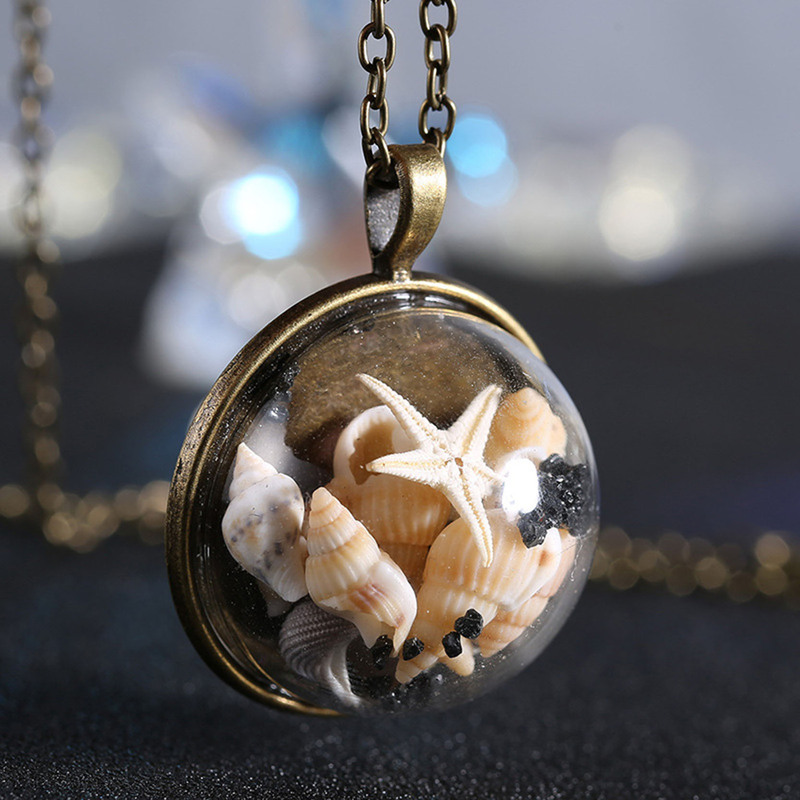 This adorable necklace adds just the right amount of beach fun to any outfit. 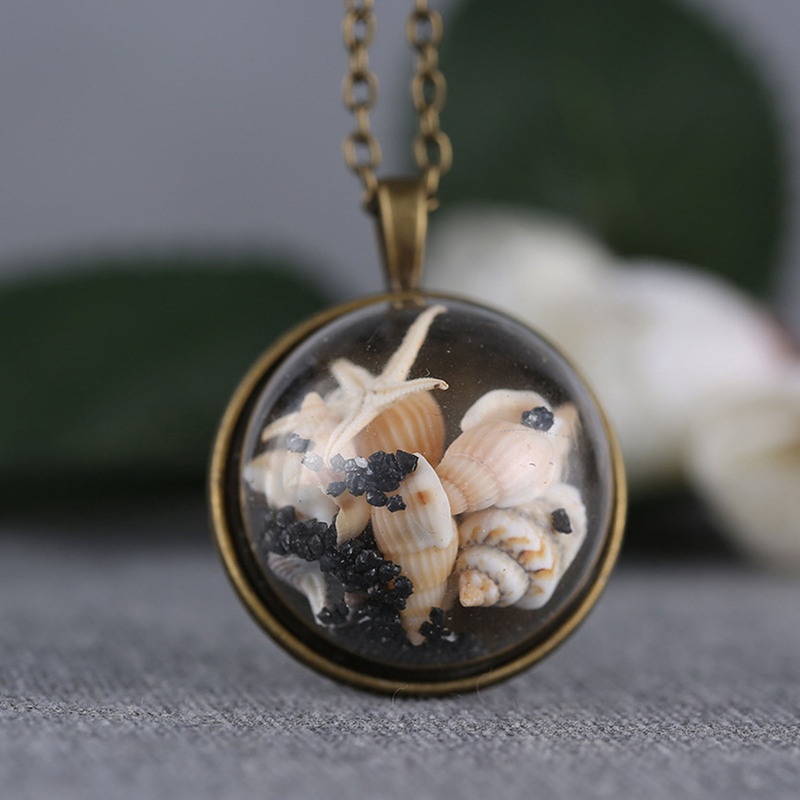 This piece features real sea shells in an enclosed glass bulb measuring 1.2 inches tall and wide on a sturdy 25.5-inch bronze chain. If the beach is your thing, this show-stopper won't disappoint.